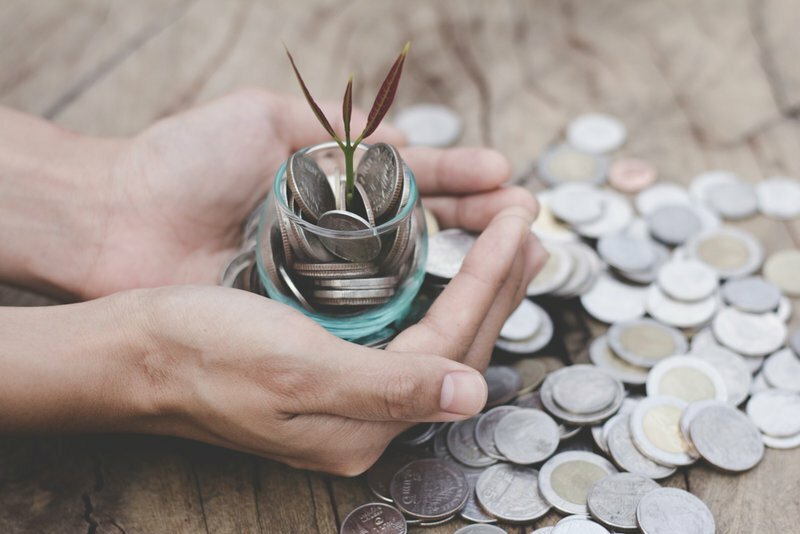 A windfall is defined as “an unexpected gain, piece of good fortune, or the like.” When it comes to finances, a financial windfall is when you unexpectedly come into a lot of money. This can happen in extreme circumstances, such as winning the lottery, or much more common circumstances, such as an inheritance, selling a business, or selling off stocks. In fact, a windfall is typically a lot less money than the windfall may make a recipient feel like they have, which is a dangerous situation to be in. If you think you have more money than you do, you run the risk of spending more money than you have. Pro Tip: The most important thing you can do when you find yourself in a financial windfall is to make sound, logical financial decisions that don’t risk your financial stability. Expect long lost relatives and friends you haven’t spoken to in years to suddenly come out of the woodwork, and if the windfall was large enough to become public knowledge, be wary of scammers. Just because you’ve come into a lot of money, doesn’t mean you get to stop worrying about money altogether. In fact, you need to be even more aware of the impact of your financial decisions when you experience a financial windfall than ever before. To help you manage through a financial windfall, here’s what you should do when you come into a large sum of money. It would be natural for most of us to want to make big purchases as soon as we came into a financial windfall. Ask just about anyone; most people have a “lottery wish list” just in case they hit those lucky numbers. Good to Know: While it’s certainly fun to dream, if you do happen to come into a lot of money unexpectedly, avoid taking financial risks early on in your newfound wealth. While some of these risks are obvious, others may not be commonly seen as risks. Giving away your money and announcing your new wealth publicly may seem harmless enough, but if you’re not careful, can lead to serious financial issues. Fact to Keep in Mind: Not everyone even understands how much their money can buy them. A million dollars is a lot for most people, but it’s not going to provide the ultra high-end lifestyle that some people expect it to. Important Note: Financial risks may not always seem risky at first. If you’re ever unsure of a financial move or decision, reach out to a trusted financial advisor. Depending on how large your sudden wealth is, you may want to remain anonymous to protect yourself from scammers, thieves, and even potential fake lawsuits trying to get money from you. Good to Know: Significant cash windfalls such as lottery winnings may require you to be publicly named, although identification laws can vary from state to state. If you do live in a state where you can remain anonymous, always do so. Speaking to the media after a significant cash windfall leaves you susceptible. As we’ll discuss later in this guide, your relationship with your friends and family may become strained if they find out about your windfall before you’ve had time to speak with them and set the right expectations. Before you do anything, take a moment to fully consider your options and assess your financial goals. Warning! Many of us have a hard time resisting unnecessary spending, even when we don’t have a lot of expendable income. It becomes even harder to resist that urge when you suddenly have a lot more money, and that’s where many people get into trouble. Lottery winners are more likely to declare bankruptcy in three to five years than the average American, according to CNBC. While it certainly doesn’t make sense as to why someone who has just won potentially hundreds of millions of dollars would declare bankruptcy just a few short years later, but it’s a painful truth for so many lottery winners. One of the biggest financial mistakes that people can make when they have an unexpected windfall is making fast, rash decisions. Making large purchases, giving away money to family and friends, and even announcing a windfall publicly are just a few of the quick decisions that people make, often with dire consequences. “About 70 percent of people who receive a cash windfall will lose it within the first few years,” largely due to impatient financial decisions. Important Tip: Before you do anything with the money, speak with a financial advisor and take their advice. Think about your finances in the long-term. Consider your goals, whether that’s paying off a large debt, paying for education expenses, or investing your money. Depending on how well you’re able to stifle your spending urges, the amount of time that’s appropriate to wait before taking any action can vary from person to person. For some people, waiting just a few months is all they need to get their goals and objectives in order. For others, they could benefit from waiting a year or more before doing anything with the money. Considering 5 out of 6 Americans admitted to purchasing something out of impulse, imagine the urge to spend when you suddenly come into a lot of money. While there isn’t a hard-fast rule on how long you should wait, it takes discipline to hold back from making large purchases as soon as you get your money. When you come into a financial windfall, chances are you’re not going to be taking it home as cash. Good to Know: You’ll need to consider the best place to put your money, whether it’s in one account or divided among various accounts and investments. One of the simplest, safest things to do is invest your money in stable investments, such as bonds, real estate, or even high-interest savings accounts. With online savings accounts through financial institutions such as Ally, you can get get a return of 2% or more. Considering the average savings account is less than 1%, a high-yield savings account is a smart, stable investment that allows your money to grow while you consult with financial experts and plan out your finances. Let’s say you come into a cool $1 million, and you decide to park half of it into a high-yield savings account that currently sits at 3% interest earned. Let’s also say that you did the smart thing and kept your job, giving you a reliable stream of income. By depositing just $200 per month, a balance of $500,000 at 2.3% interest compounded daily will be worth over $650,000 in 10 years. While $15,000 over a decade isn’t anything too significant, a high-yield savings account is a safe way to let your money grow, and even small monthly contributions can make a major difference. Even more impactful than the monthly contributions in any investment, whether it’s a 2.3% yield or 15% yield, is time. Time is the secret ingredient that makes the magic of compounding interest work. Let’s revisit our initial $500,000 deposit in a high-yield savings account. While it doesn’t necessarily make sense to park that kind of money over decades, this really illustrates the power of time. If you were to leave that balance in a savings account with a 2.3% yield, compounded daily, with $200 in contributions a month for 30 years instead of 10, you would have over $1.1 million in your account. Bump that interest yield up to 5%, and you’re sitting on over $2.4 million. While market conditions and other factors will impact interest rates when it comes to more volatile investments that offer better returns, having your money in a high-yield savings account is a safe way to store your money and let it grow, even if that growth is small. What many people who come into a financial windfall do is think about the immediate satisfaction of having that money, rather than the future. If you’re not considering your financial future, you’re setting yourself up for failure. Certificates of Deposit (CDs) are another low-risk investment that protect your money during your financial planning phase. When you invest in a CD, you’re probably going to get a slightly higher interest rate than a high-yield savings account. CD rates are considered good at anything over 3%. For illustration purposes, let’s compare your initial $500,000 deposit into a high-yield savings account by calculating your return if you deposit that amount into a CD. CDs are designed for short-term, safe investments, often with lower returns. While your money is inaccessible during the time of the investment, CD terms can be as short as a few months or as long as five years, with some banks offering even longer terms. 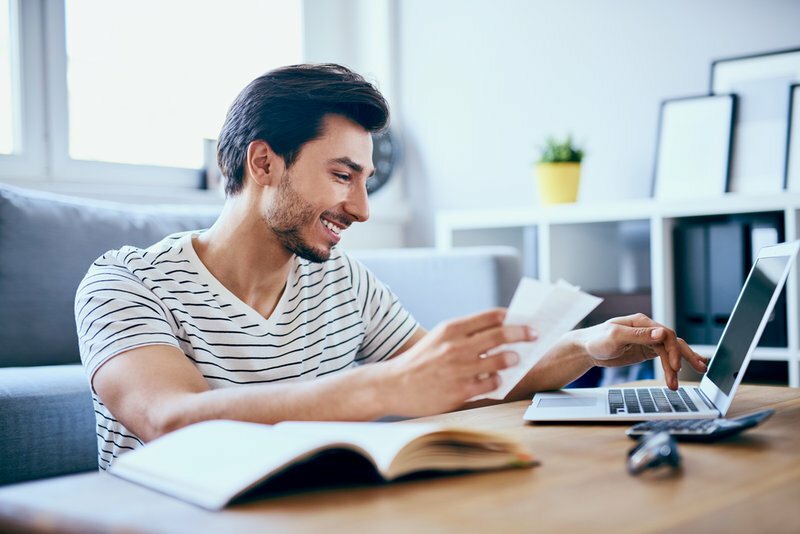 As we mentioned, it’s important to take some time before making any major financial decisions, and a CD is a great way to safeguard your money while also earning interest. If we take that $500,000 and invest it in a CD with a 3.5% yield for just six months, you’ll earn over $8,000 during that time, simply from having your money invested in a CD account. By not touching your windfall and saving it in a stable investment account, you’ll have plenty of time to consult with a financial expert and chart the path of your financial future. If you know you’re not good at resisting the urge to spend money when you have it, review your payout options to see if you can receive the payment in installments rather than in a lump sum. Depending on how you got your windfall, such as through the lottery or in a court proceeding, you may be able to elect regular installments to help you manage your money more effectively. By splitting your windfall up over months or years, you’ll fall back into a natural routine of earning and spending that you’re used to. Pro Tip: If the windfall is large enough, consider splitting up the payments over multiple years if possible. This financial stability creates safety and security for you and your family. However, there is a drawback to taking your payment in installments, depending on how long your payments are set up. Good to Know: Since your payments will be fixed monthly, semi-annual, or annual payments, inflation will impact how much your money is actually worth. For Example: $10,000 per month in today’s money isn’t going to be the same buying power as $10,000 per month in two decades. With inflation currently sitting at roughly 2%, inflation rates may have a significant impact if your payments are spread out over enough time. Before you make a purchase, give money to your family, or even pay off your debts, always consult with a financial expert. Not only will they be able to guide your money-making decisions, but they’ll also be able to make your newfound money work smarter, meaning it will last longer. A financial windfall can drastically impact your finances and your overall net worth, and many people may not know how to handle that financial change. One of the first steps that you should take is to reach out to a trusted financial advisor. These experts can guide you on how to manage a financial windfall correctly, from making the right investments to adjusting your lifestyle. What Factors Should You Keep in Mind? There are a lot of factors that go into receiving a lot of money unexpectedly, even outside of your finances. You’ll need help in navigating your relationship with your current friends and family, as an influx of money can cause tension and turmoil if you’re not willing to part with your money. If the windfall is large enough, you may also need help in dealing with media coverage and interested parties trying to get in contact with you. A good financial planner will also help you understand how to successfully manage your money, which means making your money last and making smart financial moves. Important Note: Track all of your finances, assets, and net worth by signing up for Status Money today. In addition to an experienced financial advisor, you may also want to consider hiring a team of advisors to help you navigate your newfound wealth. Attorney – you may need an attorney to help with any disputes and distribution of wealth. An attorney can also help you manage and plan your estate. Accountant – working hand in hand with a financial consultant, an accountant can advise you on tax implications and managing your money successfully. Public Relations – as we mentioned, you may have difficulty with media inquiries depending on the size of your windfall. A PR professional can manage harassing media and help protect your privacy. Pro Tip: The relatively small cost of hiring a team of advisors is more than worth it. When you’re living comfortably for years to come with your newfound wealth, the cost of a skilled team of advisors may be one of the smartest purchases you can make. Aside from making large, extravagant purchases as soon as the money is in hand, another mistake that many people make when they receive a financial windfall is quit their jobs. It makes sense; when you come into a lot of money, you don’t need to worry about working, right? The truth is, quitting your job after a financial windfall may be one of the biggest mistakes you can make. While you may not need the regular income from your day job if your financial windfall is large enough, there are many more positive aspects to a job than the money. Depending on how you’re being paid your windfall, you may owe taxes on that money all at once. Tax laws are complex, especially when it comes to non-traditional earnings. You may find yourself in a situation where taxes are higher than what you anticipated, leaving you with less money than you thought. If you quit your job before you have your money, it may leave you in a financial bind. Not only is it difficult to estimate taxes before you receive your payout, but quitting your job will also leave you without the many other positive benefits that come with steady employment. The average monthly non-subsidized health insurance premium for families is $1,168 per month. Adding over a thousand dollars to your monthly expenses for health insurance may not be something you had budgeted for, and if you quit your job, you’ll lose out on potentially significant health insurance subsidies. Not only will you miss out on subsidized health insurance, but also the natural friendship and socialization that comes with being at an office. When you’re not spending time and work and spending your time at home with your newfound wealth, you may turn to spending money in order to preoccupy yourself. Another lucrative benefit that you’ll miss out on by quitting your job is a company-sponsored retirement plan. Good to Know: Remember, it’s often more important to think about and plan for your future financial success than it is to cater to your immediate needs, such as a large purchase. Even a small match in contributions can go a long way by the time you retire. The dollar-for-dollar match that your company provides. To illustrate how valuable a company-sponsored retirement plan is, let’s run through a sample scenario. You are 25 years old, have $10,000 in your retirement account, and currently earn $50,000 per year. You expect a 3% yearly increase to your salary. You plan to contribute 5% of your pre-tax income to your retirement account and plan to retire at 65 years old. Historical rates of return have been 9% annually, so we will conservatively estimate an 8% annual return. Your employer matches 100% of up to 5% of your salary. Using these numbers, at the end of 40 years of investing, your total balance will be over $1.6 million. Considering that you invested less than $200,000 over that time period, and your employer matched that amount, interest earned over time is considerable. If you quit your job, you lose your regular contributions, your employer-matched funds, and increased contributions due to annual salary increases. In fact, if you just take employer-matched funds out of that scenario, you’re left with a little over $900,000. Financial windfall or not, taking advantage of your company-sponsored retirement account is essential for setting yourself up for success in your retirement years. Important Note: Exploring your retirement account options? Let the experts at Blooom make the most of your 401k. Taxes are often the most complex part of any financial windfall, and not understanding the tax implications of your windfall may leave you in financial trouble. Pro Tip: To assist you with understanding your tax requirements depending on the type of windfall you receive, always consult with an experienced tax advisor. Different windfalls have different tax requirements; you may not have to pay the same taxes on a life insurance claim as you would on winning the lottery, and understanding the tax regulations around your specific windfall is essential. Locale will also impact how much you owe in taxes. Some locations have both state and city income taxes, while other locations only have state tax. Your federal tax may be higher than your normal income tax as well, as it may be taxed at the supplemental rate, which is currently 22%. This is in addition to state tax and potentially local income tax if you live in a state that requires city income taxes. Connecting with a skilled wealth advisor will help you prepare for your tax bill when it comes due. Good to Know: Many people that come into a financial windfall don’t account for various taxes and regulations, whether it’s taxing the windfall as income or taxing monetary gifts to friends and family. With unclear expectations around what tax will be owed, many people may be left without the proper liquidity to handle the tax bill, leaving them financially strained. Your family and friends will find out about your new wealth, so it’s often better to talk to them as early as possible to set the right expectations. Pro Tip: For those out there that are generous in spirit, this next sentence may be a difficult one to read: You will have to say no to your friends and family. If you don’t speak to them early and set proper expectations around what you can assist them with and provide them in terms of finances, your relationship may become strained when they’re asking you for something you can’t provide. Just take a look at these tales of lottery woes, of which there are multiple winners that said they wish they never would have won because they lost all of their friends and family. Sitting down and discussing your new financial situation and your financial goals with your family and friends allows them to understand your side of the situation. Not only may you be pressured by your friends and family for financial assistance and investments, count on being contacted by long-lost friends and strangers if your windfall is significant enough. Protecting your assets and your financial health also protects your friends and family. By playing it safe and not giving your money away in the frenzy and emotion of coming into significant wealth, you’ll be prepared to help them in the future when they really need it. A financial windfall is an exciting and emotional time, so be candid with your friends and family and avoid giving away your money before you’ve had time to consider your options and plan for your future. After you’ve talked to your advisors, stored your money safely, and discussed your situation with your friends and family, you may be prepared to make more drastic money decisions than parking your earnings in a safe investment such as a CD or high-yield savings account. Whether you have $100 or $10 million, the concept is fundamentally the same. It all comes down to interest. Pro Tip: When comparing debt-payoff versus investments, you need to think about your after-tax interest on your debt compared to your after-tax rate of return on your investments. The higher after-tax interest needs to be pursued first. For Example: If you have a $10,000 credit card balance with a 25% interest rate, paying that off first is the better financial move than investing $10,000 in an account with an 8% return. Paying the minimum balance on credit cards and other high-interest debts may be what most people can afford, but when you experience a financial windfall, it’s important to tackle those debts first if you can. At the end of the day, it really comes down to what you can manage. If you took your windfall as a lump-sum payout, paying off high-interest balances may be simple. If you elected for installments to help you be more disciplined with your money, it may not be possible to pay off your high-interest debts all at once. Practicing sound money management can help you tackle your debts and achieve financial freedom. Yes, you’ll still need to live on a budget, even if you come into some significant cash. While it may seem absurd to set a budget for your new financial situation, a budget in this instance is designed to create financial discipline. No matter how much money you have, it’s easy to live outside of your means, and a budget helps you stay within your means and make smarter financial decisions. Whether you make $20,000 a year or $200,000 a year, financial struggles are a reality for most. In fact, almost 80% of Americans are currently living paycheck to paycheck. Budget your monthly recurring expenses and plan out how you spend money each and every month. If you don’t stick to your budgeting routine, your spending can quickly get out of hand. Once you do have your high-interest debts out of the way, it may be time to research and consider more lucrative investment opportunities. Good to Know: If all that you have left are low-interest debts, such as a mortgage, small balances of student loans, or your car loan, investing to achieve a higher rate of return is a smart option. Your financial advisor can walk you through the risks and benefits of your investment options. Depending on your risk tolerance, you may choose a safer investment to maintain steady growth, or you may choose a riskier investment for more aggressive growth. Here are some of the most common investments that you may want to explore for your financial windfall. Real estate can be a volatile investment but has historically performed well in a wide range of markets. In addition to being lucrative, there are multiple ways to get started in real estate investments. First, you may want to purchase your own income property and rent it out for residual income. With rent in the United States averaging over $1,400 per month, there’s ample opportunity to earn significant monthly income if you invest your windfall into rental properties. While monthly maintenance and other recurring costs certainly reduce the overall profit you earn, even starting with one property can add significant supplemental income that will allow you to invest in even more properties in the future. Being a landlord can take up considerable time, so if you’re looking for a passive real estate investment, this may not be the right path for you. Important Note: Fundrise makes it easy to get started in real estate investments, without the hassle of managing a property. Sign up today! Real Estate Investment Trusts (REITs) are designed to allow investors to tap into lucrative investment properties without taking on the responsibilities of a landlord. These companies own properties in a wide range of sectors and markets, from residential housing to large commercial properties. The properties are income-producing and can offer substantial returns for investors. REITs typically operate on stock exchanges, allowing virtually any level of investor to take part in real estate investing without the role and responsibility of managing a property. There are various forms of REITs, all offering different properties and investment opportunities. Properties may be traditional income-producing properties, mortgage-backed properties, or properties that are owned and operated by non-public REIT groups. Making your financial windfall last is one thing, but strategically investing that money to produce income that you can live off of is another. Good to Know: Many investors choose stocks based on their dividend payouts, allowing the investors to either pocket those dividend payouts or reinvest those dividends for additional shares. Dividends are additional shares that are distributed to shareholders either annually, semi-annually, or quarterly. The option to reinvest the dividends back into the company allow investments to grow faster even without regular contributions. To understand how dividends work, let’s look at a dividend stock scenario. If Company A pays a dividend of 10 cents per share, and you own 1,000 shares of Company A’s stock, you’ll receive a cash payment of $100. The higher the dividend rate, the more attractive a stock is to investors. 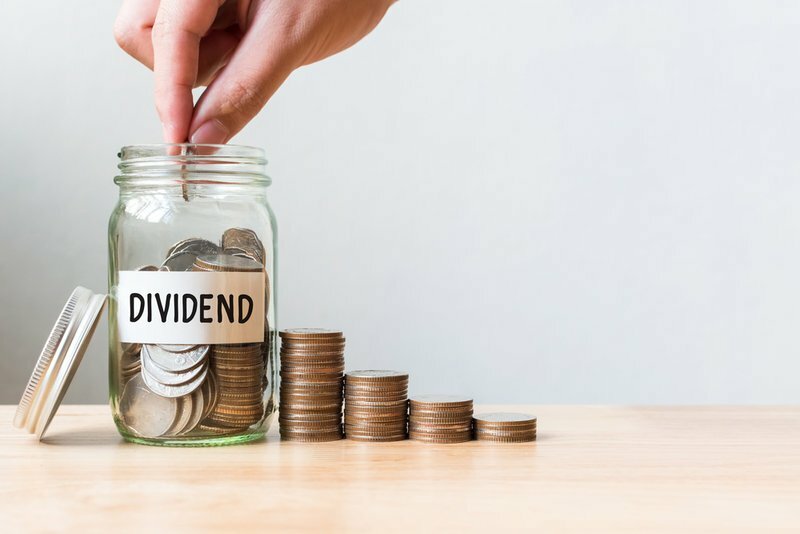 If a dividend is paid out with additional stock, which isn’t common, the payout is typically as a percentage of stocks that a stockholder owns. For example, Company B may issue a 5% stock dividend, and if you own 1,000 shares of Company B’s stock, you’ll receive 50 additional shares as part of the stock dividend payout. Since dividends allow you to keep the cash if it is a cash payout or sell the additional stock if it is a stock dividend, investing your windfall in stocks that pay out dividends could generate enough passive income to live on. Just as we mentioned previously in our guide, the earlier you start investing, the more you’re going to earn. The same applies to dividend stocks. Investing early in dividend stocks and reinvesting your dividends allow you to receive even more dividend payouts because you invested in more shares. This cycle of dividend payout and reinvesting creates its own compounding effect that can lead to significant dividend payouts in the future. Remember, dividends are completely optional, and there are no obligations for any business to pay out dividends. If you’ve come to rely on dividends for your primary income, the sudden removal of dividend payouts could leave you financially vulnerable. Important Note: Don’t have excess cash from a windfall to invest in stocks? Sign up for Acorns and start investing your spare change today. We already discussed safe investments previously in this guide, but it’s important to realize the benefits and stability of these investment options. Good to Know: You’re not going to earn a significant amount on interest as you would by investing in dividend stocks or real estate when you choose to store your money in a CD or high-yield savings account, but you will get a safe, secure, and reliable investment option. Whether you use it to protect your money while you assemble your team of advisors and plan your next steps, or you use it for long-term stability and predictable growth, low-interest options are often much safer than high-interest, aggressive investments. While these tips are useful for any size of financial windfall, there are certain things that you should do when you receive a large windfall that you may not need to do when you receive a small windfall. For example, you may not need to actively try and remain anonymous if you receive a small windfall, because there wouldn’t be a need to know who you are. You may also not need to hire a team of advisors to help you manage your new financial situation; depending on the size of the windfall, hiring advisors may end up costing most of your windfall if the windfall is small. However, there are also things that you definitely need to do even if you do have a small windfall. Use smart money management techniques, wait before you take action, and pay off high-interest debts first if possible. Managing a windfall really comes down to how well you manage money on a fundamental level. Regardless of the size of the windfall, if you aren’t able to manage your money well, you’re not going to be successful. As you can see, there are plenty of things to consider when it comes to a financial windfall. How do you manage a financial windfall? How do you invest a windfall? What do you do with a small windfall versus a large windfall? Whether you hit a hot streak at the casino or strike it rich by winning the lottery, we hope these tips have helped you understand how to manage a financial windfall. Have any additional tips, or do you have a story to share about your own financial windfall? Let us know in the comments below! For those of you that haven’t gotten lucky with a financial windfall, here’s an awesome list of how to make extra money in your spare time.